At the Arlington Improv, comic Paul Varghese proves why he’s tops on the local stand-up scene. When comedian Paul Varghese headlines a local show, you can be sure he’ll bring a posse along. He’s a big-hearted kind of guy who’s stayed in his hometown in spite of plentiful opportunities to flee for the coasts. As a result he’s enjoyed long-time camaraderie, family connections, and generous stage time. He’d just spent the week opening for Eddie Griffin and snagged Sunday night at the Arlington Improvisation Comedy Club when Griffin declined it. Joining Varghese were Tyson Faifer, Cris Lehman and emcee Chris Mack.Varghese is a very contained fellow. Trademark tailored suit and vest set off his polished shoes. The vest helps to add bulk to what must be the leanest body on the planet that never works out. Sleek hair neatly in place, closely trimmed beard, groomed fingernails—kind of impeccable, really. Yet not a stiff performer by any means. Though he possesses a perceptible economy of movement, he utilizes the entire stage in a very intentional way. The man’s unflappable. Yeah, expectations are running a little high for Varghese, who’s been doing stand-up since 2001. He has a new CD, Paul and Oates, on a genuine comedy record label. Performances in India are in the works, much to the delight of his Kerala immigrant parents. Regional gigs keep him burning up the interstates. He’s the big fish in the South/Southwest pond. How to break through to being steady on a national level? Varghese always delivers an entirely satisfying, solid set. But you do wish for just a couple of times where the laughs are yanked out of you, maybe even make you bang the table a bit—more of the shock and surprise that only stand-up comedy can deliver. Varghese has such a wonky, well-educated and aware take on life. You yearn for a deeper dive down that rabbit hole of conscious wonkitude, a long routine that absorbs you in the hell of being all too aware. That would be memorable, which is how a stand up stands out, suitable for a sophisticated comic like Varghese who eschews forced tag lines or torqued personas. One of those dark places Varghese could explore is identity. It often pops up in his act. He’s forged his own identity as a dark-skinned American son of Indian parents, the rather uncommon Episcopalian variety at that. The India angle was how he first got established and he’s wisely moved beyond it. But that racial richness is still there for him, along with the carte blanche that dark skin can impart for poking fun at other race’s peccadillos. Identity pops up in Varghese’s set from innocuous bits like being mistaken at an airport for someone’s evidently negligent grandson, to the Cleveland Indians cheesy chieftain logo (“To be real it should look like me with a headset and laptop”), to why flashmobs by dark-skinned people in white establishments won’t work (“A bunch of white people run in and it’s like ‘Oh look, I bet they’re going to dance.’ If 20 of us run in, you all run out’”). But it is Varghese’s wonky awareness of topical events and policy that identifies his material. How many comics would do a routine on Haiti’s devastating earthquake? He points out that millions were raised yet nothing got done (“Do I get a rebate for my donation?”). He lightly rants on how more dogs than people get adopted in America (“Why are wasting that Sarah McLachlan song on puppies?”). He razes Biblical art’s white-skinned Jesuses (“Three days hanging on a cross? There’s at least going to be sunburn”). His immigrant parents, well, that’s simply a comedic gift that keeps on giving. 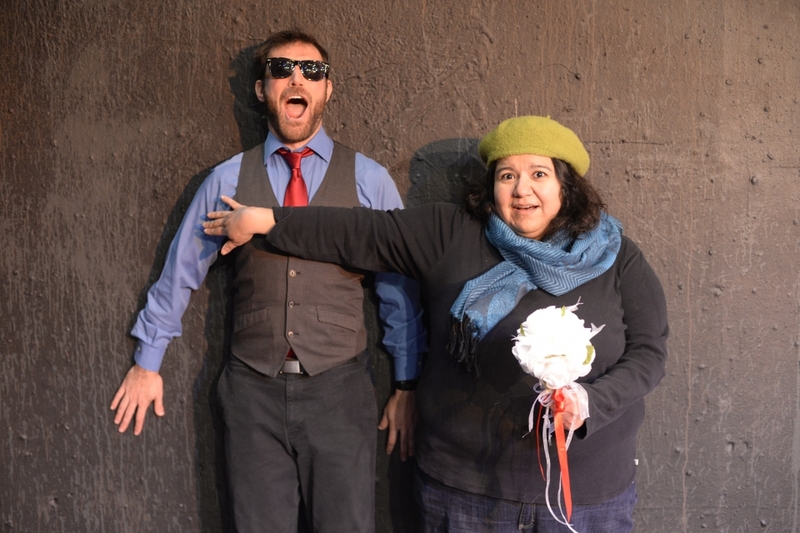 A mother whose interrogations of his dating habits show how unclear she is on the on concept and a father who conveys his affection with handshakes. Both wish Varghese would get married already, incredulous that even at 38 he spurns their offers of arranged marriages. His affection for them is obvious; tales of cross-cultural family exchanges never veer into ridicule. Varghese’s CD, Paul and Oates, has the gently dated look of a ‘80s album, with fuzzy photos and giant type. Like his set on Sunday, the CD kicks off with his ultra-dry presentation of a series of jokes that wonderfully tweaks the art of comedy as well as people’s skewed expectations of comedians. In the 15 routines, the lost tradition of fat presidents is mourned, the joys of living alone are extolled, and his inability to gain weight is mocked. Taking communion with a TV preacher entails chips and salsa in lieu of wafers and wine. As comedy clubs go, the Arlington Improv is much nicer than usual, spacious and three-tiered for sightlines. But curtains on the wall behind the stage muffle audience laughter and make it harder for comedians to work up crowd energy. Arlington comedy benefits from University of Texas at Arlington students eager to drink and chuckle it up, and residents whose collars tend a little more toward blue, ready to laugh off tension at the end of a gnarly work week. 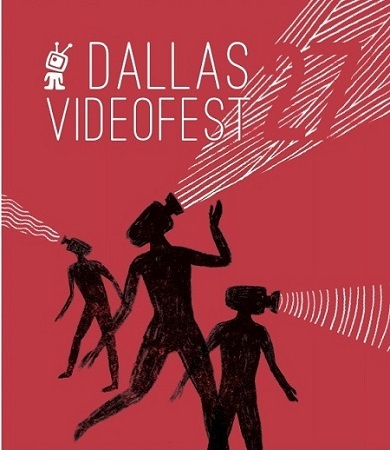 Let’s face it: Dallasites are much tighter with the laughs. Some of Arlington’s comedy history veers toward legendary, those blurry ‘80s days when Bill Engvall and Ron White were learning the craft in the old Hyena’s comedy club. That led to a friendship that launched the Blue Collar Comedy Tour and snagged a wife (now ex) for White. Alex Reymundo moved from being Hyena’s manager to performing on stage and once Ron White broke big became his favored opening act. With more shows like Varghese’s on Sunday, Arlington could be a national comedy incubator once again.
? 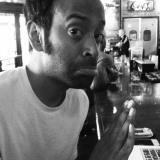 Paul Varghese will open for George Willborn Aug. 15-18 at the Addison Improv.